I’ve been just testing Visualobserver beta and I am blown away by the software. It’s the first software that allows competitive analytics. I wished I could talk more about it, but it’s something you have to experience for your self. You can easily sign up there. This entry was posted by admin	on Sunday, October 11th, 2015 at 4:17 pm	and is filed under Offtopic. You can follow any responses to this entry through the RSS 2.0 feed. You can leave a response, or trackback from your own site. 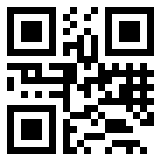 Scan this barcode or get your own. Archives | All content © copyright 2008 Viooli.com. All rights reserved.